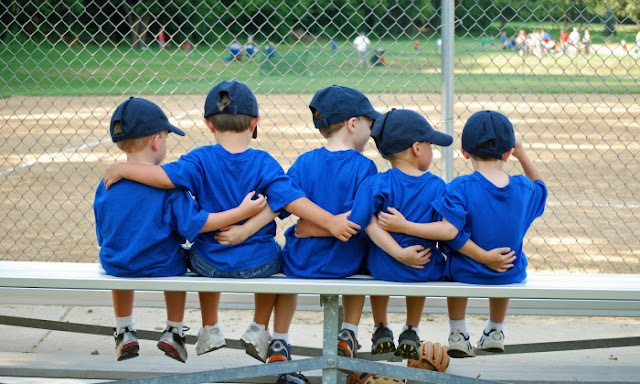 Home » afterschool » parenting » Should Every Child Be on a Team? We are looking for team players. This is something I personally said many times while I was interviewing people as a team manager. Why do I (and practically every other manager) care about that quality and how does it really develop? Why Does Being a Team Player Matter? Of course, as a manager, I want to have star players, but I also want people who can work together and share ideas. I had a direct report once who was a brilliant person, but he felt that at every opportunity he had to show off his brilliance. Needless to say, he was not very effective in situations requiring cooperation, and, in my field, cooperation is essential. Being on a team teachers cooperation, and it also teaches compromise. Sometimes the person can be 100% right and yet the things will not get his or her way without other people contributing to success of a project. Being on a team also teaches kids emotional intelligence. Good team players (kids and adults) know how to lighten up tension with a joke, give support to teammates who struggle, and keep things in perspective. They are overall pleasant to be with and much easier to manage than people without ability to work in teams. There is a perception that team players do not get promoted, but I did not see evidence in it in my work place, which is a large high-tech company in Silicon Valley. It's true that laid back people are less likely to be promoted, but I saw many energetic and career-driven people rising through ranks while being known for their ability to cooperate and work with others, so being a team player does not prevent anyone from having a very successful career. But My Child Is Not Interested in Team Sports! 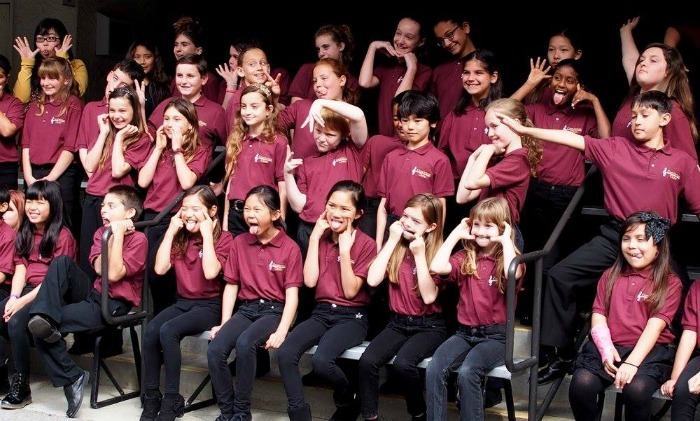 Consider a band or a choir where your child will also have an opportunity to learn how to read music and might master a musical instrument. Enroll your child in a theater or dance program where many different talents have to come together to put on a good show. Join or start a LEGO Robotics League or a debate club. Smarty has no interest in team sports, but she joined a district choir last year and added a school band this year. It was amazing to see her musical confidence and abilities develop over two years, and we hope that she will continue to enjoy these enrichment activities and be part of performing arts crew for years to come! What are your thoughts? 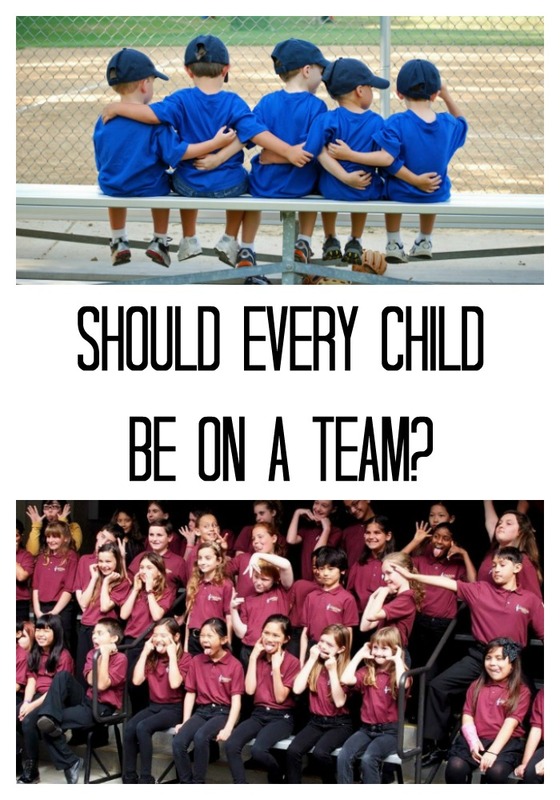 Should every child be on a team? What kind of team activities are your kids engaged in? I think every child benefits from being some sort of formally created community, but teams are not usually the first place I look. My kids aren't natural athletes, but I also dislike the highly competitive atmosphere for young children, especially. I have enrolled my children in drama performances for that reason, and Emma will be joining a choir like Smarty this fall. I am more fond of creative groups for children rather than competitive ones (and a robotics league can be very creative). A good sports coach can create this environment, but I think it is easier in more obviously creative areas. You have some really insightful thoughts on the benefits of being part of a team. I really like your suggestions for those kids who may not be interested in team sports. Our kids weren't too interested in sports, and their parents certainly aren't interested in sports at all. That being said, we've done some team stuff, but I'm of course not thinking of a single thing..... Oh AHG and Traillife, those are team activities of sorts.